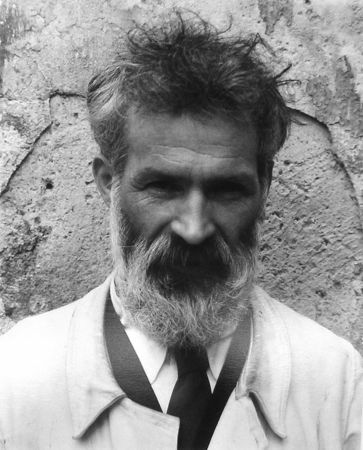 On 19 February, his birthday, the Romanian Cultural Institute pays homage to legendary sculptor Constantin Brâncuși. Since 2015, when this date was declared Constantin Brâncuși Day, it has been a National Holiday in Romania. The Romanian Cultural Institute will dedicate the renowned sculptor a series of grand scale events within the Europalia 2019 Festival, where Romania holds the status of guest country. Our country’s presence at this important Festival that will take place between October 2019 and January 2020 is organised by the Romanian Cultural Institute, in partnership with the Ministry of Foreign Affairs, the Ministry of Culture and National Identity and the Government’s General Secretariat. Throughout the Festival, the events dedicated to the works of Brâncuși will take place at the prestigious BOZAR – the Centre for Fine Arts in Brussels – as well as other significant museums in Belgium. „The diplomacy of art is a concept I believe in and one we have continuously been trying to apply in the strategy of the Romanian Cultural Institute. Art can be a universal means of communication between artists themselves, the creators and the public but also between nations. Brâncuși has become a “country brand” for Romania. This is why, naturally, we have decided to allocate him a central position within the Europalia programme. As we always do, regardless of the artist being internationally renowned or just emerging, we strive to organise events connected to the body of work: alive, authentic, and impactful. For the Romanian Cultural Institute, Europalia is part of a true cultural marathon, a series of unparalleled challenges in its activity, together with the France - Romania Season, the Romanian Presidency of the Council of the European Union and the Centenary of the Great Union.” – Mrs Liliana Țuroiu, President of the Romanian Cultural Institute. EUROPALIA is one of the most important international arts festivals in the world and is considered the most important cultural platform in Belgium. The Festival takes place once every two years and is placed under the high patronage of the Belgian Royal Family. Events are organised both in Belgium and its neighbouring countries: France, Holland, Luxemburg, Germany and the United Kingdom. The Europalia International Arts Festival was founded in 1969 and has a multidisciplinary character presenting visual and performing arts, music, film and literature. The biggest editions so far had a public of over one million people and among the previous guest countries there is Italy (1969 and 2003), France (1975), Spain (1985), Portugal (1991), Czech Republic (1998), Poland (2001), Russian Federation (2005), China (2009), Brazil (2011), India (2013), Turkey (2015) and Indonesia (2017).